The entire process of task management can be an overwhelming experience for even the most experienced professionals. This is the reason that there has been such an immense rise in the popularity of project management tools in recent times. However, the fact of the matter is that while there is plenty of generic task management software, the options are quite limited when you talk about task management tools for creative businesses in particular designing. I have compiled this list of useful task management tools that can be the best help for people involved in creative businesses such as designing. So, without further ado let me begin with the list of the 13 task management tools for your design project. 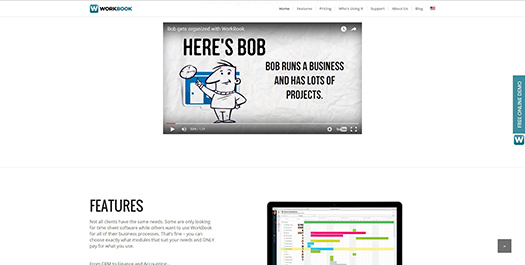 As a one of a kind project management software, Workbook allows you to customize the tool as per your individual business needs. You can begin with their basic plan and further add features like finance and accounting, billing and invoicing, and CRM and pipeline, to name a few in the tool to make it fit within your needs. Going beyond the traditional task management needs, the tool comes with an in-built reporting system with more than 300 reports starting at a price of $19/month per user (for up to 15 users minimum). In addition, the automatic billing feature is just perfect to manage your client billing. True to its name, CreativePro Office can be the perfect tool in the armory of anyone who is involved in the creative field of designing. Whether you talk about time-tracking or financial management, this task management tool has it all put together in one place. 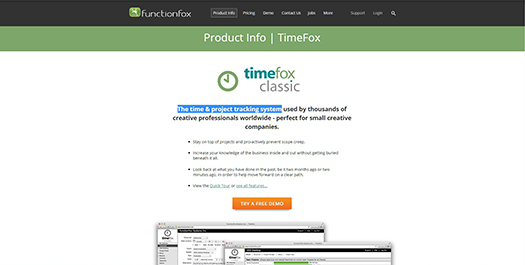 An integrated client tracking along with simple and easy project creation makes it a handy tool for someone who works with multiple clients at one time. Pricing plans start with $9/month for up to 3 users to $49/month for larger teams (unlimited users). This visually pleasing project management tool will change the way you plan your project portfolio, allocate resources, and uncover insightful business data. Adaptable and flexible are the two words that best define this software. 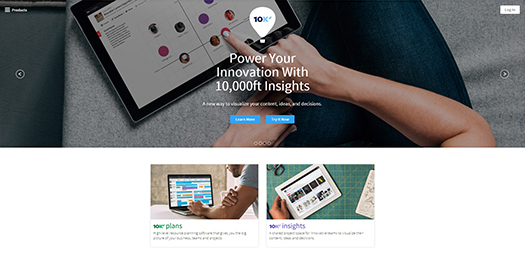 From projects and schedules to project management and analytics, 10,000 ft Plans simplifies everything. With clean design, robust features, and a great user experience, the tool definitely stands out of the crowd. Also not to forget a free trial and moderate pricing plans starting at $10/user/month (annually). 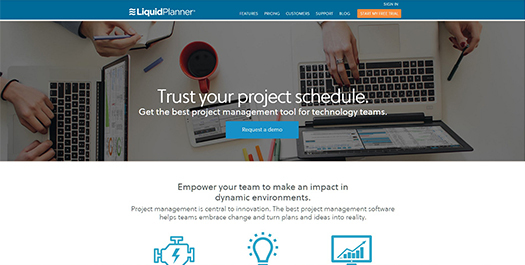 Turn your ideas into reality with this amazing task management tool called LiquidPlanner. With a number of super-smart features like workload intelligence, automated scheduling, and advanced analytics LiquidPlanner comes across as one of the best task management software in the market today. The standard price costs $29 per user per month, while the professional plan costs $39 and the Enterprise plan costs $49 per user per month (based on annual plan, 10 users minimum). 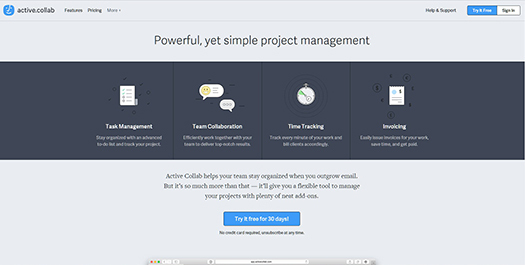 Quick and easy file sharing, printing and exporting, time tracking, calendar and schedule functionality, ticket management and milestones, along with the option to add unlimited projects and arrange them into groups for easier management; these are some of the features that you can get with Active Collab. Available in "Corporate and Small Business" plan options (with unlimited users and projects in both plans), Active Collab fits well within the requirements of small businesses as well as large corporations. 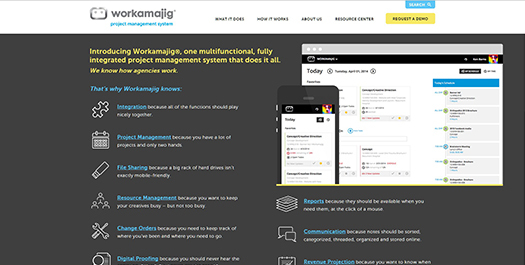 Bringing together the perfect blend of features for accounting, client management, new business, creative, media, traffic, and production departments, Workamajig is just the right tool for every creative business. Some cool integrations for media billing and even cooler options for reports and estimating, Workamajig has carved a niche of its own in this breakneck competition. Pricing starts from $38/month for one month (up to 10 users); this includes learning support, new feature training, ongoing assistance, as well as free client access. Unique in terms of providing flexible options in the tool based on the requirement of your business, Function Fox ranks quite high on the list when we talk about smart project management tools in the market. Named as one of the top 15 web applications in the past, the tool has also been ranked number one project management tool in the entire North America. The list of features is overwhelmingly long, and includes Free Customer Support, Timesheet with Stopwatch Timer, unlimited Clients and Projects, Account Preferences & Customization, Task with Editable Rates, to name some of the major ones. And, the best part is that their plans are priced quite fairly ranging from $5/month to $15/month. 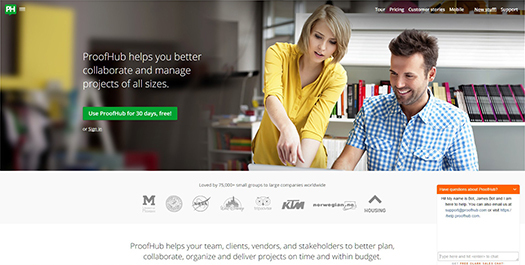 A project management tool for teams of all sizes, ProofHub takes online task management and collaboration to the next level. Take a look at the overwhelmingly long list of features that the tool offers and I am sure you will fall in love with it. 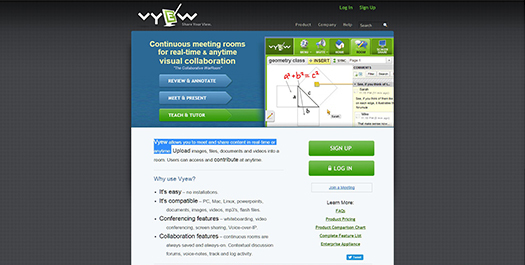 Time tracking, Custom roles, To-do’s, Discussions, Notes, Calendar, Gantt charts, Reports, Group chat, Proofing and what not, you can expect to get it all in this online collaboration software. 30 Day free trial and individual plan starting at $20/month make ProofHub tempting for anyone who wants to increase the team’s productivity. 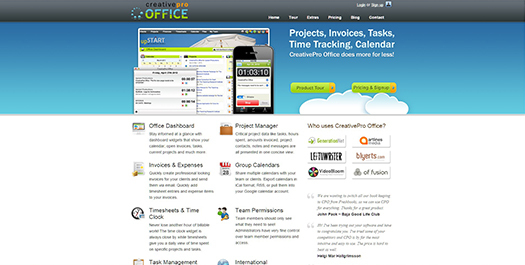 The company markets its tool as a project management software designed specifically for marketing and creative agencies. Project tracking and task management, workflows, priority lists, calendar, e-mail integrations with Google Drive, Dropbox and Box; the list of features goes on and on. 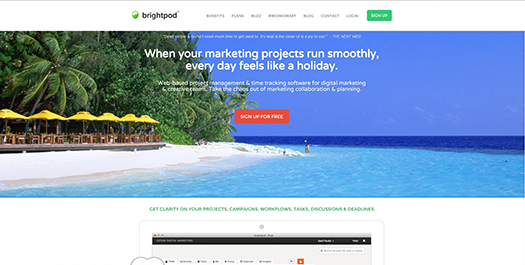 With Pricing plans attractively marketed as Professional ($19/month), Studio ($49/month) and Agency ($79/month), Brightpod is definitely worth a shot if you are looking for an easy to use task management tool as a designing professional. Quite a popular name in the project management circuit, Teamwork is different from the others in terms of its intuitive design and attractive pricing options. The pricing structure is based on per user basis. Therefore, if you have a small team, you can easily manage for a cost of $24 for an entire month. In fact, their business plan offers 35 projects, 20GB of storage, and unlimited users at a price of $29/month. Gantt charts, customizable navigation, and private messaging are some of the key highlights of Teamwork. Would you believe me when I say that you can get real-time desktop sharing, built-in voice over IP, free tele-conferencing, white boarding and drawing tools, embedded comments, text chat, dedicated room, built-in webcam video support, and direct URLs, all integrated in one tool? Well, that’s Vyew for you. From their free plan in which you get unlimited meetings, SSL secure log-in, and up to 20 participants to Professional plan at $13.95 per month in which you get up to 45 participants (or 15 with no ads), and up to 100 Vyew Books with up to 300 pages each; Vyew is just the tool that every creative team would like to have for web-conferencing and online collaboration. 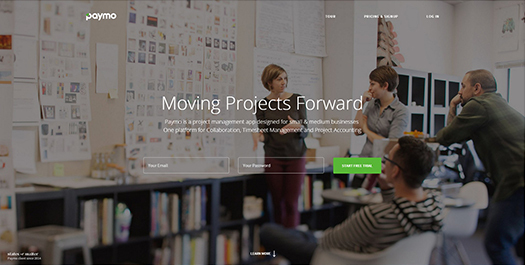 "Content, mockups, attachments, architecture, and notes all in one place." That’s what the first line of their website says. 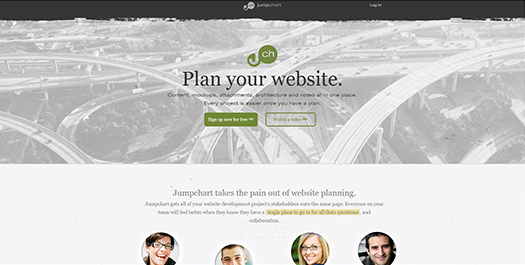 Marketed quite smartly as a complete website planning application, Jumpchart gives you some innovative features besides the traditional project management. There are five pricing plans including a free plan with 1 project with 1 MB of storage; so there is no doubt that you can find a pricing plan that fits with your pocket size. 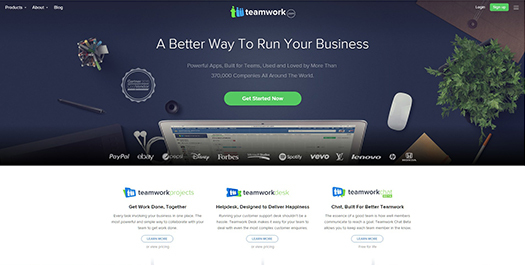 The deluxe plan for bigger organizations (30 projects with unlimited pages and users, and 5000 MB of storage) comes at a price of $50/month; definitely, a great option for teams handling large number of projects. Designed for small and medium sized businesses alike, Paymo is a project management software that brings together the features of online collaboration, time management, and project accounting together. With a fifteen-day free trial and basic plan starting at $4.95/user/month (with the option of add-ons like Notes, Invoicing and Gantt Charts at $9.95/month), Paymo can prove to be your best friend in taking productivity of your team to higher levels. That’s pretty much it from my end. While there is always a personal preference when it comes to choosing a task management tool for enhancing your productivity. But, trust me if you are into a creative business, then trying out any one of the tools mentioned in the list above is going to be a decision that you can be proud of in the future. 53 queries in 0.373 seconds.